John and I ventured out to the Peabody Mill Environmental Center for an afternoon run through the trails. 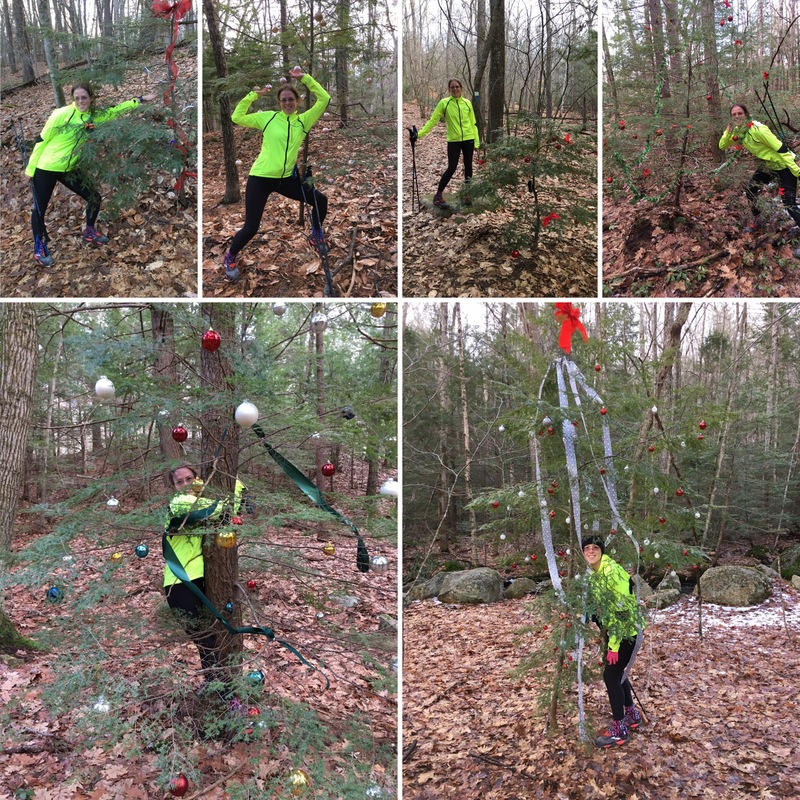 Before the holiday season, the local newspaper ran an article about decorating trees along the trails for the holiday. Anyone could decorate so long as the decorations were properly secured and were taken down within a reasonable timeframe after the holidays. We never made it to the PMEC during the heart of the holidays, so we were delighted to see some. Photo opportunities galore! There were six along our three mile journey…one decorated tree was beside a tree with a thick trunk. I took this opportunity as the first tree for my 2019 hug a tree goal. The goal is to hug a tree (at least one) every month of the calendar year. January, check! Photo does not do this decoration job justice…some of the red balls were sparkly. This tree was technically before the tree-hugging one. We ran past it so fast that we didn’t see it…until John took my tree-hugging photo. Not quite sure why this pose, it just felt right. Here, I am gently caressing the branches. I got the sense it didn’t want to be overwhelmed with a hug.